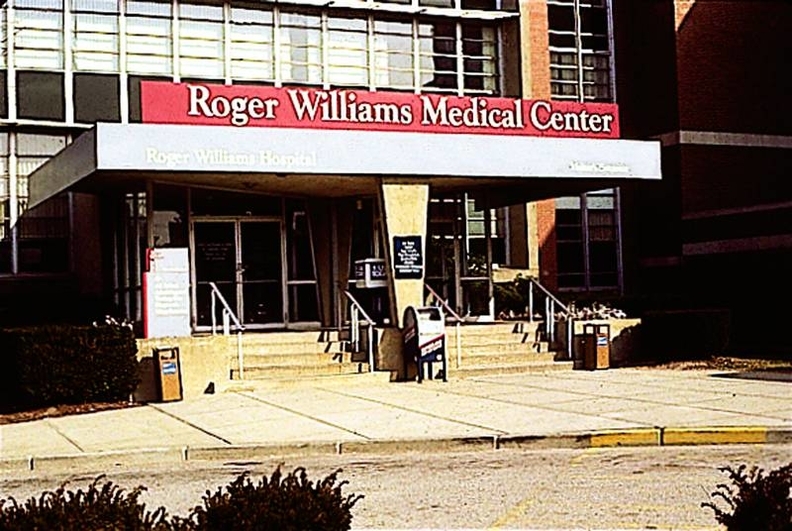 Roger Williams Medical Center accepted a deferred prosecution agreement and agreed to provide $4 million in free healthcare, among other provisions. Guilty verdicts for two former executives from a hospital in Rhode Island continued to stoke the hunger for better oversight of hospitals in that state and across the country. Last week, a jury in U.S. District Court, Providence, R.I., found Robert Urciuoli, former president and chief executive officer of Roger Williams Medical Center, Providence, guilty of conspiracy and 35 counts of mail fraud related to charges of bribes paid to former state lawmaker John Celona to advance the interests of Roger Williams in the state General Assembly. Frances Driscoll, a former senior vice president at Roger Williams, was found guilty of one count of mail fraud. She was acquitted of conspiracy. The jury acquitted Peter Sangermano Jr., Roger Williams' former partner in an affiliated assisted-living center, on all charges. The decision reinforces a need across the country for healthcare organizations to beef up their oversight. The verdict is another wake-up call for boards to ensure that their organizations have appropriate personnel managing the institution in a legalas well as ethicalmanner, said Pat Coffey, a partner at law firm Lord, Bissell & Brook in Chicago. Already, not-for-profit hospitals and systems, quality improvement organizations and group purchasing organizations are increasing their self-policing (See story, p. 28). In Rhode Island, the court case could continue. Michael Connolly, an attorney for Urciuoli, said the verdict would be appealed. The verdict came on the seventh day of deliberations after a three-week trial. Celona, a former state senator who agreed to plead guilty in the summer of 2005, was the star witness for the government and spent six days testifying on the stand. Celona collected about $260,000 from Roger Williams to work as a consultant from 1998 to 2004. The hospital did notify the Rhode Island Ethics Commission about Celona's hiring. However, during the trial it was debated whether the commission knew that Celona was advancing the hospital's interests in the General Assembly as a senator while also working as a consultant. Urciuoli could be sentenced to a maximum of five years in prison and a $250,000 fine for the conspiracy count and for each of the 17 mail-fraud counts. The other 18 mail-fraud counts carry a steeper maximum prison sentence of 20 years, as well as a $250,000 fine. Urciuoli and Driscoll were freed on bail and are scheduled to be sentenced in March 2007, according to Urciuoli's attorney. Robert Corrente, the U.S. attorney for Rhode Island, said in a written statement the investigation will continue, but said he couldn't cite specifics. He added that the verdict was a significant victory. However, in the months since the January indictments, little has been done to ensure that the problem has been fixed. The verdict is further evidence that more oversight of not-for-profits is needed, said Maureen Maigret, director of policy in Rhode Island's Lt. Gov. Charles Fogarty's office. The verdict "confirms that need for stronger standards to be in place,'' Maigret said. Belcher took over as Roger Williams' CEO after Urcioli. Bills were introduced in the state's House and Senate that outlined a code of ethics for hospital governance. Hearings were held, but a vote was never cast on those bills, which faced opposition from the Hospital Association of Rhode Island. "The Assembly did its work to understand the issue and found they were satisfied with the existing state and federal reporting that deals with codes of ethics,'' said Ed Quinlan, president of the hospital association. The association was against the bills because it said they requested measures that hospitals already have in place. It also didn't like that the bills were narrowly definedincluding hospitals but no other not-for-profits. The state Senate did pass a resolution recommending a commission be formed that would examine the governance of not-for-profit organizations. However, the commission has not been established. "We would have preferred to see the bills passed,'' Maigret said. Quinlan disagreed and said the Roger Williams case was an isolated incident. He added that Roger Williams has taken corrective steps. The hospital was originally indicted in the case, but weeks later reached a deferred prosecution agreement. In order to avoid charges, Roger Williams must provide $4 million worth of free healthcare, tighten its ethical standards for dealing with public officials and cooperate with the government in the criminal proceedings. Recently, Roger Williams named Kenneth Belcher president and CEO. 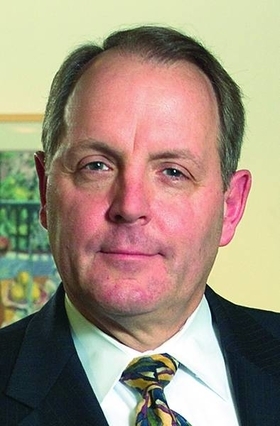 Belcher, who was working as vice president of ancillary services at Boston Medical Center, had been serving as Roger Williams' acting president and CEO after Urciuoli was placed on leave and later fired. After the verdict was announced, Roger Williams did its best to distance itself from Urciuoli and tout the steps it has taken. Nationally, the case is likely to have repercussions. Urciuoli's verdict should not be seen as an isolated incident, but rather an event that should raise questions about the entire governance and leadership model at organizations, said James Orlikoff, president of Orlikoff & Associates, a consulting firm specializing in healthcare governance, organizational development and risk management. The fact that this is yet another act of criminal wrongdoing in the healthcare industry in recent years does not mean that the segment is ignoring the consequences of other healthcare administrators, legal experts said. June 2005: Former state Sen. John Celona pleads guilty to accepting payments from Providence, R.I.-based Roger Williams in exchange for his influence. December 2005: Roger Williams places Urciuoli on paid administrative leave and said the hospital is under federal investigation. January 2006: Government indicts Roger Williams, Urciuoli and two executives on charges related to bribing Celona. Roger Williams Medical Center fires Urciuoli. Roger Williams reaches a deferred-prosecution agreement with the Justice Department. Oct. 13, 2006: Jury finds Urciuoli guilty of fraud and conspiracy. Jury also finds Frances Driscoll, former senior vice president at the medical center, guilty of fraud. Write us with your comments. Via e-mail, its [email protected]; by fax, 312-280-3183.